Wellington, July 20 NZPA - Concerns doctors will be swamped with requests for sickness certificates because of employment law changes are groundless, the Government believes. Under the changes, announced on Sunday by Prime Minister John Key, employers will be able to ask for a certificate if a worker is off sick for just one day. General Practice New Zealand chairwoman Bev O'Keefe told NZPA there could be "capacity problems" and some people might find it hard to get an appointment in time. She said some unwell people might go to work when they should stay at home if they couldn't get a certificate within the specified three consecutive days. Green Party co-leader Russel Norman rang 40 doctors around the country, and only 12 said they could squeeze in a patient with flu-like symptoms on the same day. "With an already stretched health system, the idea workers with a stomach bug or the flu should pull themselves out of bed to get a medical certificate is simply unworkable and draconian," he said. 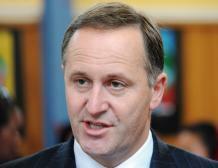 But Mr Key says critics are overstating the issue. "It's not going to be a situation where every single employee is going to be asked to deliver a medical certificate just because they have a sick day," he said yesterday. "I think the vast majority of employers accept it when an employee is sick -- when it's blindingly obvious they've got the 'flu or whatever -- and most employees treat the system with fairness and respect." Mr Key said a certificate was likely to be demanded only when employers were suspicious, and that was something that had often been raised with him. "I think if they see you taking every Monday off, five Mondays in a row, they might start saying there's a problem," he said. "Talk to people in the meat industry, they will confirm what they've said to me. They do see a pattern of Mondays and Fridays in rolling shifts of people being off sick."